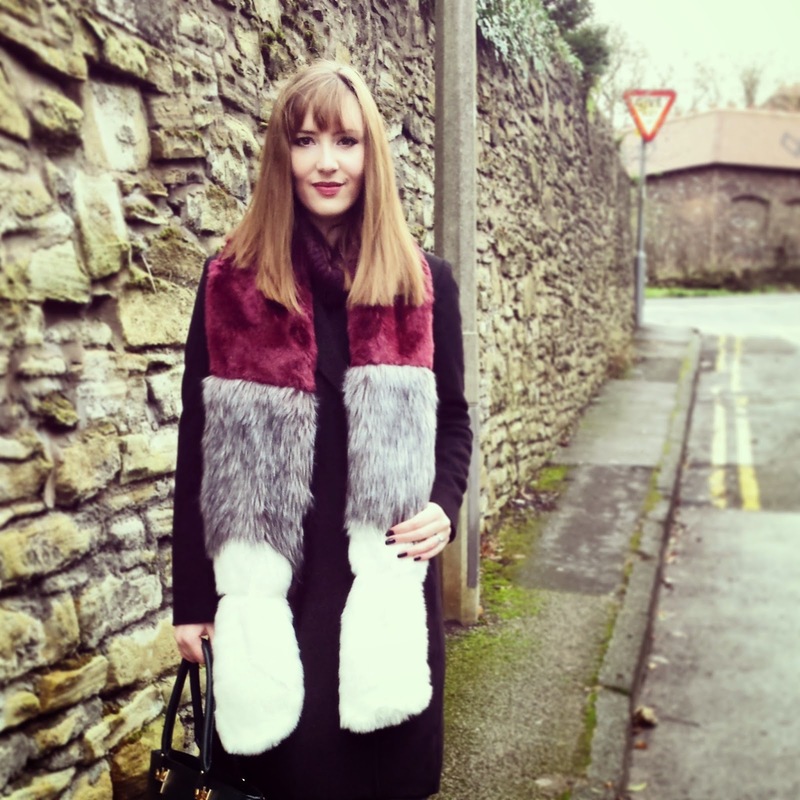 Yes, I'm styling the old faux fur yet again! I cannot get enough. I mean, how boring would this outfit look without it?? 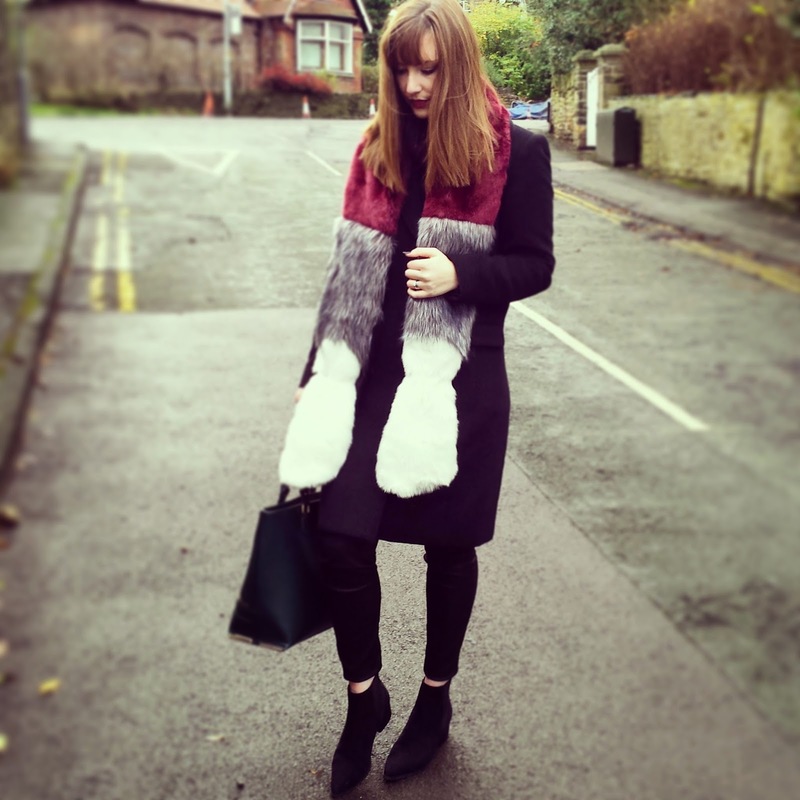 This baby is from Missguided.co.uk and I immediately visualised it with every coat I owned! Someone thought it was part of the coat actually, which is always a good thing, then it looks like a totally new outfit when I wear it without the fur. The coat itself was a birthday present from my mum. 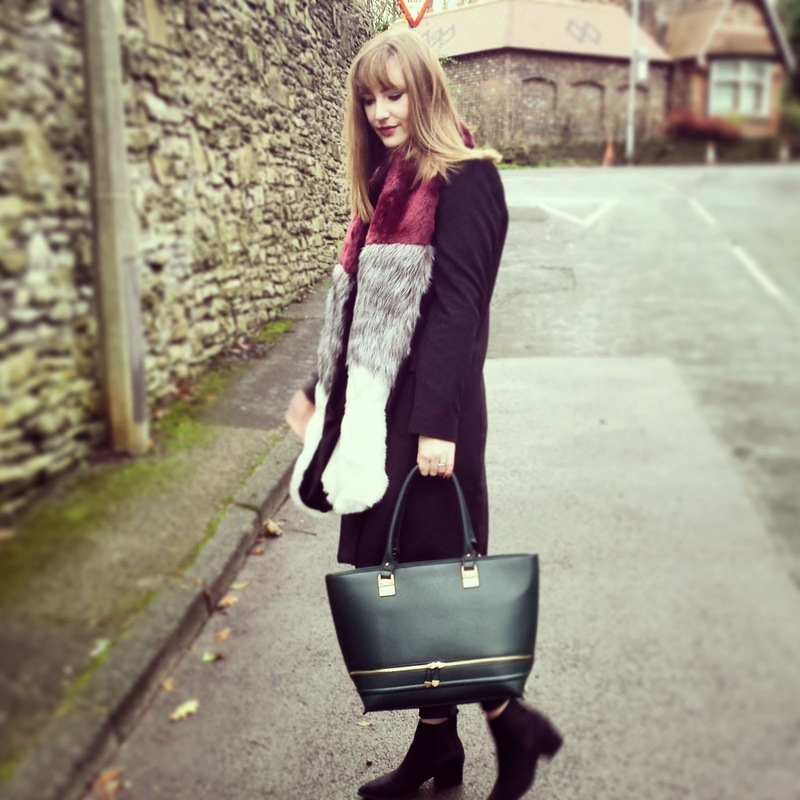 It's a wool, boyfriend style, mid-length coat, which can be styled in a million ways! It's classic and timeless and really can be put over everything. I have worn it with trainers and dressed up with a dress and heels. It sticks with my favourite 'masculine' trend, but the cut of it makes it feel so feminine and grown up (I turned 26 last month, so I'd better give it a go!). I took my big bag with me for practical reasons, but the army green adds another much needed pop of colour. It's ridiculously big, but oh so handy for carrying everything you could ever need! Had a busy/amazing December so far. 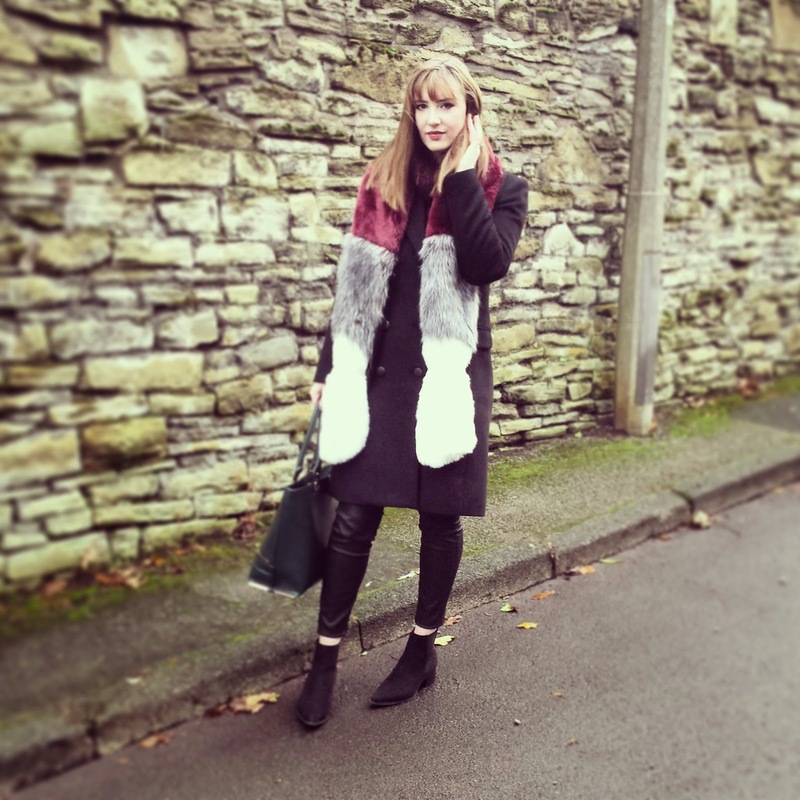 The lovely girls at fashionchick.co.uk named me as their blogger of the month for January - what an amazing way to start 2015! I also won £250 of vouchers for boohoo.com for my post about the blogger's Christmas Party. Feeling very lucky right now, and love being a fashion blogger. Thank you to all you guys for following me, it means so much.